Philadelphia is the second largest city on the East Coast of the USA and ranks fifth in the nation, with a metropolitan population of 5.8 million. Philadelphia is conveniently located in the middle of the Northeast Corridor, 100 miles south of New York, 133 miles north of Washington, D.C., and 55 miles from Atlantic City. Philadelphia International Airport is just seven miles from Center City. SEPTA’s R1 line directly links the airport to Philadelphia’s downtown for a fast, hassle-free connection. Philadelphia taxis charge a flat rate of $25 for travel between Center City and the airport. 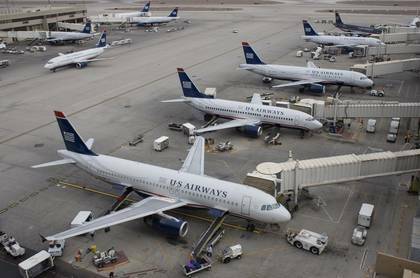 PHL is served by all major domestic carriers and is a major hub for US Airways. The New International Terminal features 13 new international gates, 56 U.S. immigration booths and more amenities to make your trip to Philadelphia as pleasant as possible. Philadelphia is served by Amtrak, which operates rail service along the Northeast Corridor stretching from Boston to Washington, and other major cities in the United States and Canada. 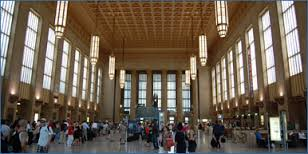 Amtrak’s 30th Street Station is minutes from the Drexel University Campus and from Center City hotels.